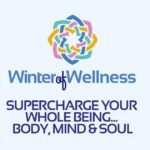 I just saw a short list of speakers who will offer fresh perspectives on recovery that are featured at the Winter of Wellness Summit coming up next week. I have listed below descriptions of a few for you to review. There are so many presenters and topics to choose! I certainly do not have time to watch them all – I believe there are 40 – but I will not miss watching some. I have followed Donna Eden’s work for years. She is a pioneer in the research that demonstrates the usefulness and effectiveness of energy medicine. Donna Eden will present simple techniques for bringing more energy into your body… to become more alive, happier, more grounded and more centered. David Crow will explore the Ayurvedic system of medicine, which provides a profoundly spiritual yet highly practical system for maintaining physical, emotional and mental wellbeing. Dave Asprey will discuss the Bulletproof diet and lifestyle and provide his top “bio-hacks” to help you upgrade and arrive at your best state of health in 2018 and beyond. Sue Morter will share about Energy Codes, suggesting that we stop trying to heal because nothing is broken and nothing is missing. Holly Tse will describe how the ancient healing art of Chinese reflexology, combined with the wisdom of your soul, can help restore balance and vitality in your body, mind, heart, and spirit. Naveen Jain will demonstrate that there isn’t a universal healthy diet — and how artificial intelligence can analyze our metabolic and immune functions and provide personalized diet recommendations for healthy living. Gregg Braden will offer new DNA evidence that reveals how we did not descend from Neanderthals, but rather from of a fusion of other primates… with the capacity to self-heal and experience deep intuition, sympathy, empathy and compassion. Sara Crow will introduce ways to use restore your vitality and radiance using traditional herbal medicine, flower essences, essential oils and plant-based rituals. It is the new year and time to get some fresh perspectives on recovery. Which gut tests do you recommend for folks with Parkinson’s? Could Parkinson’s disease be considered in any way shape or form an Autoimmunine disease? What tests do you need to determine what toxins, nutrient and mineral excess of deficiencies, etc. you have? I am fighting to reverse my PD symptoms, which are a left hand tremor and a left shoulder freeze. My symptoms have lessened in intensity, but do you have a suggestion of what I can do? Quite a lot of calories come from gluten foods and dairy (I don’t eat processed foods or drinks) so I would like your advice on how best to maintain my calorie intake. What do you think about microwaves? I think It was mentioned in Betrayal episode 3 that the blood test for gluten intolerance was not fine enough to pick up all intolerances. Is there a test which we can ask for which is more accurate? Would you pass along a name of a Functional Medicine Consultant with experience in Parkinsons Disease in my area or at least how to seek one out? Could you be more specific about diet recommendations? Do you have general guidelines regarding diet? Click on the link below to hear the replay of my interview with Dr. O’Bryan. Robert, Good day. I have a couple questions for you, but will give a brief history of myself first. Dx with pd in 2008 at age 42. I have not taken any pd meds of any type. Since dx I have tried numerous therapies to include: mercury filling removal, chelation, aspartame detox, lyme tx (both antibiotic and herbal), EFT, TMJ mouth piece, dental cavitation tx, hypnosis, shiatsu, chiropractic, acupuncture, scalp acupuncture, herbs, CoQ10, more supplements than I can list, glutathione IVs, vitamin IVs, DMPS IVs, nanobacteria supplements, colored laser therapy, ozone injections, detox baths, infrared detox, hyperbaric chamber, heavy metal detox, organic diet, copious reading on everything from emotional topics to body electronics, forceless spontaneous release as described by the Parkinson’s Recovery Project in Santa Cruz, and Howard Shifke’s protocol as described on his website. Possibly a few more, truthfully, there are so many it is hard to remember. Unfortunately, I have observed no distinguishable benefit from any of them. Meaning, I have continued to be increasingly affected by pd on the same trajectory as always. In spite of this, I refuse to admit that pd is not reversible. When I thought and said that, I felt a tinge of something, not sure what…relief…peace…resonance. Bottom line, I need to deal with/heal from the illogical process of negative pleasure acquired in childhood. My question for you is, what is the best way? the attachment of pleasure to pain. Negative pleasure (which actually most people have experienced but do not realize it) is entirely unconscious. This of course is why it is so terribly difficult to heal and why you asked the question in the first place. It is a concept that is foreign to many people, but one that can keep us in a place of illness year in and year out. Negative pleasure is a tough challenge to overcome because the underlying emotional process is unconscious. The attachment of pleasure to pain often occurs in early childhood – so it is not an attachment that is not disengaged by resorting to logical reasoning alone. I can happily report that your have made the most significant step already. Making conscious the role of negative pleasure as an obstruction to your recovery has taken you a long way toward healing it. From my personal experience, you have to address the problem from both an intellectual (and logical) perspective and also address the underlying feelings that are involved. For me the latter challenge has been the most difficult. What purpose does having symptoms of Parkinson’s serve me? For example, perhaps having Parkinson’s disease has given you a reason to quit a job which was not in your best and highest good, a job that does not offer you pleasure and satisfaction. Before having the symptoms, your ego logic concluded you had to keep on working to take care of your family (or here … please fill in the gap with all the other reasons we can concoct for ourselves). Or, perhaps having Parkinson’s gives you an excuse to become isolated and avoid contact with other people. Or … Obviously, there can be many answers to this question. It is important to reflect and meditate to find the answer that applies to your own situation. In other words, what do you get “not to do” that is intrinsically distasteful because you have Parkinson’s? The goal in the end is to disassociate and untangle the dynamics of negative pleasure – to feel pleasure when there are pleasurable sensations and to feel pain when there is real pain to be experienced. The reason it is so difficult to heal negative pleasure is that it comes from a place that has no words or logic. You can not talk it out of your body or will it out. So how can you release an attachment of negative pleasure to Parkinson’s Disease? There are energy healers who can provide help in this area. There will be a critical core of Brennan Healing Practitioners (all of whom have had extensive training and experience and know all about negative pleasure) who are well versed in this issue and help clients clear it out. You might consider attending the Parkinsons Recovery Summit in Cincinnati in June to get a healing or two from one or several Brennan Healing Practitioners who will be present and available to offer healings. You will just need to let them know that you want to work on releasing negative pleasure. The Brennan healing work really is quite incredible I must say. It has been transformative for me. There are likely Brennan Healing Practitioners in your area who can help out as well. It is also possible that there is a family entanglement involved which is tied to the negative pleasure. Listen to my recent radio broadcast last week with guest Dee Yoh who explains the theory behind Family Constellation work and how these type of entanglements are identified and released in family Constellation Workshops. Search around your area for someone skilled in facilitating Family Constellation workshops if this sounds like a viable option for you. I will also be offering a Family Constellation Workshop in Cincinnati this June at the Parkinsons Recovery Summit. Is Your Recovery from Parkinson’s Stuck in the Mud? Click on the slider below to view the right part of this page.